Sherri grew up in Michigan, but currently resides in Northeast Ohio with her husband and three children, enjoying summers on Lake Erie, and winters on the ski slopes. Drawn to the mission of NHFC, she and her family began hosting children from Latvia. Shortly thereafter, Sherri began volunteering to support families through the hosting process. Sherri is a clinical psychologist, having earned her doctorate from Biola University. She has held numerous leadership roles in both the private and non-profit sectors, and in church ministry. She is part of the John Maxwell Team training leaders both domestically and abroad. 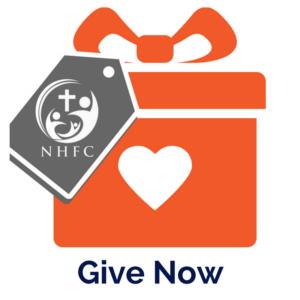 We, as the board of directors, are very excited about this next chapter for NHFC. We have full confidence in Sherri’s strong faith, experiential knowledge of orphan care, passion for the hurting, and outstanding leadership skills. Sherri and her team will propel us into an exciting new season for NHFC. We ask you to join us in supporting and welcoming Sherri as NHFC’s Chief Executive Officer.